What is the CMHA Foundry? Source Kelowna’s support of CMHA Kelowna‘s Foundry program has been one of our proudest and most humbling corporate events of the past year. This integrated youth and family clinic brings partner organizations together to provide coordinated services addressing the primary care, mental health, substance use, counselling, and social service needs of youth aged 12 to 24, and their families. 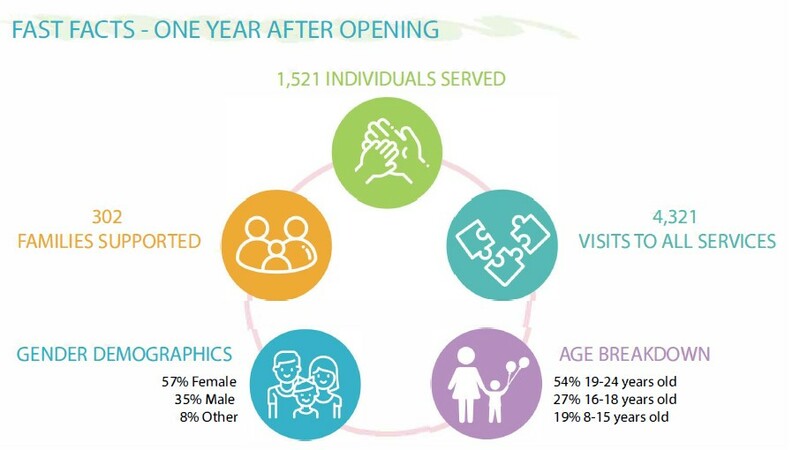 Having just celebrated its first year in operation, Foundry has already had a remarkable impact on the local community: Stories from youth and families themselves also paint a picture of what access to these services means: “The Foundry has been more than a counselling service, or a location to pick up pamphlets; it is the foundation for my family’s mental health and recovery. Having one child unsuccessfully maneuver through the system prior to the Foundry opening, and then my second having this deeply safe space, was not just eye opening but powerful. Both of my children now use the Foundry, bring friends to the Foundry, and are proud to be a part of the missing link that we didn’t even know was needed in our community… until we needed it.” –Lisa We’re thrilled to have been a small part of what Foundry brings to Kelowna and we look forward to many years of its far-reaching success. Source Office Furnishings — Making Your Office Work Better!